Investors Compromised by their Re-interpretations of past Events. Every financial instrument – a stock, bond, option, etc. – represents some form of credit. As such, the value of these financial instruments is ultimately determined by the ability of the counterparty to honor its obligations. A fractional reserve banking system is the most potent credit creation engine in existence. Regrettably, potential instability and disequilibrium are hallmarks of all fractional reserve banking systems. It is the stewardship of resources, or the lack thereof, that provokes instability of financial instruments. As I have abundantly argued over the years even the most rational of human beings are highly irrational. Human beings are driven by their emotions, insecurities and unacknowledged – and often misguided – incentives in ways about which they are completely unaware. In April 2011 I wrote, “Most of us believe that memory is the ability to retrieve facts, events, circumstances, etc., and that such recollections remain fixed and unchanged. A sort of internal autobiographical movie. According to the relatively new field of Cognitive Neurosciences, memory is in reality a somewhat messy, if not haphazard, process. “According to Cognitive Neuroscientists, it is not possible for a human being to store all the facts and details of one’s life. Even if we would not run out of ‘hard drive’ space, we would quickly experience information overload. Cognitive Neuroscientists further assert that human memory has been shaped by evolution, and in surprising ways. “From an evolutionary perspective, our ability to survive relied on rapidly processing various stimuli that signaled danger (smells, sounds, etc. ), and to rapidly react appropriately (like reaching a point of refuge before we became a tasty lunch.) Recounting all the details of past similar episodes would simply be too slow to successfully react to a predator on the hunt. “The process of integrating information, explain Cognitive Neuroscientists, should be viewed as a continuum. The closer the recollection of the event to the actual occurrence, the greater the likelihood one’s memory will include greater amounts of information, i.e. the details of events, facts, etc. Over time, however, information naturally decays and we recall fewer details and less specific attributes. At some point we are left only with approximations of the facts and events. This process is somewhat analogous to the file compression function of computer software; that is, storing approximations requires less mental “hard drive” space. Moreover, from a survival perspective, recalling only approximations of facts and events facilitated processing speed. Cognitive Neuroscientists have concluded that our brain evolved to favor speed over accuracy. So while life occurs sequentially, we have the ability to rearrange the information stored in our long term memory and think about the past non-sequentially. This human ability to remember the past – but with accuracy compromised – and then rely on the past to predict the future introduces an enormously influential element of unpredictability. How we remember, interpret, and reinterpret the past is a dynamic process and subject to significant revision. Here’s my point. 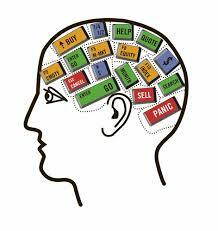 Investing lies at the intersection of company specific financial analysis and behavioral psychology: where net present value meets fear, greed, envy, and the high likelihood investors’ judgments are unwittingly compromised by their re-interpretations of past events. The creation of credit may arguably be one of humankind’s greatest intellectual accomplishments. It requires memory, imagination, knowledge of the past to predict the future and, most importantly, judgment – judgment being perhaps the highest form of intellect. Central banks have the ability to create virtually unlimited amounts of credit. In November 2012 I wrote that it was the innovation of credit that powered the unrivaled economic growth of what were to emerge as the financially advantaged nations. But the power to create virtually limitless amounts of credit comes at cost: it can radically heighten systemic risk. So the critical issue surrounding credit creation quickly transitions to the judicious employment of credit. Many years ago an interesting remark was made to me that has stuck. Something to the effect that we all place an extraordinary amount of faith and trust in the folks who work in restaurants; food poisoning can kill. (A few years later Bj, my wife, contracted Shigella, a bacterium closely related to Salmonella which is associated with the inappropriate handling of food.) The point was that daily life requires that we place enormous trust in others, from food handlers and taxi drivers to surgeons and airline pilots. We live in a world where specialists reign. To the degree that we do not understand an undertaking that requires specialized knowledge we are forced to confer greater weight to the judgment of specialists. Unfortunately, even the most highly skilled practitioners make mistakes. Doctors make mistakes and patients die. With DNA testing we have learned that too many innocent people have been unjustly incarcerated. In some situations we must, perhaps reluctantly, extend almost blind faith. I am certain each of us has experienced disappointment in our judgments, and that we would have been better served if we would have exercised greater discernment – when we could – in whom we placed our trust. While I do not question the integrity of Chairman Bernanke, I am also familiar with the aphorism, “The road to hell is paved with good intentions.” I find it disconcerting how boldly Chairman Bernanke champions his policies given his many failed prognostications. I am reminded of another aphorism, “Often wrong, but never in doubt.” Notwithstanding the subsequent manipulated low interest rates, and trillions of dollars pumped into the economy, I would point out these policies appear to have been only moderately successful in driving consumer spending. We can debate the wisdom of Fed policy forever; market strategists are no more than modern day Oracles of Delphi. Nevertheless, it is perhaps more important today, than ever before, that our capital is invested with the recognition of how the world exists, not as we would wish it to be. Those who fail to understand that markets work in practice, not in theory, are condemned to a future of failure and regret. I am of the persuasion that central banks are pursuing policies that are likely to end in tears for most. Our objective is to remain disciplined and dispassionate, exclusively pursuing opportunities reflecting deep discounts to enterprise value. Nobody has all the answers. It is one thing to have an opinion, but something very different to behave as though it is always correct. Genius fails. Experts miscalculate. And mistakes are inevitable. Are our esteemed elected and appointed officials operating with humility, or hubris and arrogance; are they capable of learning from their own errors and the errors of others? To learn more about Marshall Serwitz view his Paladin Registry profile.